Throughout the 1980s and 1990s, foreign investors looked to the East for investment and higher growth opportunities. East Asia did not disappoint, with GDP in some of these countries growing at an annual rate double that of any other part of the world between 1975 and 1995. 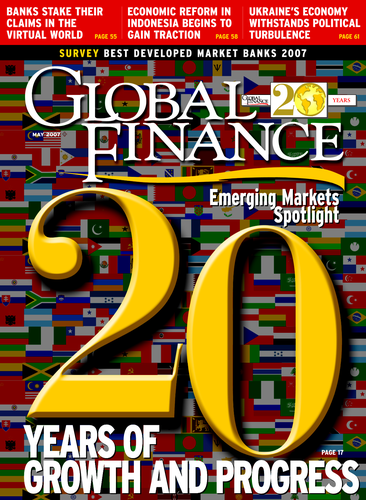 Foreign investors’ optimism gave rise to the “Asian tiger” phenomenon, which defined the 1990s. The collapse of the former Soviet Union in 1991 also saw the emergence of previously untapped markets in Central Asia, including the former Soviet states of Kazakhstan, Uzbekistan and Kyrgyzstan, which have since embraced market reforms and sought foreign investment for their burgeoning hydrocarbon industries. However, as the 1990s came to a close, foreign investors’ perceptions of developing Asia altered drastically. Speculative attacks on the Thai baht in 1997 exposed structural weaknesses such as an over-reliance on foreign capital and the stockpiling of short-term debt, which spilled over into neighboring Indonesia, Malaysia, South Korea and the Philippines. Overnight FDI levels declined by 66%, and the past 10 years has been spent redressing those imbalances, with the abandonment of fixed exchange rates in most Asian markets, the development of local and regional equity and debt markets, and increasing adherence to international standards concerning corporate governance and risk management. The past two decades has also witnessed a major shift in focus toward Asia’s new tiger economies, India and China. Economic reforms that were instituted as early as 1978 saw China’s agricultural and industrial output grow by an average annual rate of 10% throughout the 1980s, and its increasingly important role in global and regional trade flows was also boosted by its accession to the World Trade Organization in December 2001. China is likely to remain a dominant force in the region for some time, with economists predicting it will become the world’s second-largest economy, behind the United States, by 2030. In the short-term, however, the Chinese authorities are putting the brakes on rapid economic growth, increasing interest rates and restricting bank lending, which will see annual growth slow from 10.7% in 2006 to an estimated 10% in 2007. India has come a long way since the 1980s, when high fiscal deficits precipitated the 1991 economic crisis. Following the crisis, the government instituted major macroeconomic and structural reforms and loosened government controls on investment and trade. By 2005 India ranked as the world’s 12th-largest economy and is predicted to become the third-largest economy behind China by 2050. Last year South Asia, including India and Pakistan, had one of its best years, growing at a rate of 8.7%, with India recording the highest level of growth, at 9.2%. While growth in the former Asian tiger economies directly affected by the 1997 crisis slipped—by an average of 2.5% a year from 2000 to 2006 (according to figures from the Asian Development Bank) compared with the period 1990 to 1996—last year Southeast Asia as a whole expanded by an aggregate of 6%, which ADB figures show is above the average growth of the preceding five years. The threat of geopolitical risk remains a constant in the region, with President Gloria Macapagal-Arroyo of the Philippines surviving two impeachment attempts and last year’s military coup in Thailand affecting that country’s economic growth. Overall, though, the region appears better prepared than it was 10 years ago to deal with any upheaval. The stockpiling of FX reserves and budget surpluses means the region is more resilient and better able to deal with the fallout from events such as an anticipated slowdown in the US economy.